Sticking to your hands? If you are finding that the nutmeat is too sticky to work with then wet your hands prior to breaking it up, forming patties, etc. You can also use organic olive oil. What if you over cooked the meat? While this does cook very similarly to other meat products, there is still some understanding that needs to happen to optimally enjoy our Nutcase Vegan Meats products. If you were browning the loose nutmeat in the pan and you over cooked it you have multiple options. Sprinkle water on the cooked nutmeat, it will help bring back the chewiness. Add some of your sauce to the sauté pan and mix it thoroughly. Or incorporate with squash, quinoa, rice the nutmeat will absorb moisture. Make adjustment to your pan temperature and cook time next time you are cooking. General cooking guidelines: Generally for a patty, the outside will be a little more crisp but the inside will be moist. Note your heat and cooking time and make adjustments accordingly. Making meatballs? While you can’t soak meatballs in a sauce for hours and expect them to be intact, you can have the loose nutmeat in a sauce for 20-30 minutes and it takes on the sauce, very delicious. Play with the time that you allow it to be in the sauce. Leftovers: For leftovers in lunches we will pack it the night before in a dish with beans, rice, and NVM Chorizo. Or assemble a macrobowl or NVM Hot Italian Sausage with sauce and noodle of choice, and veggies. Ready for a quick reheat! 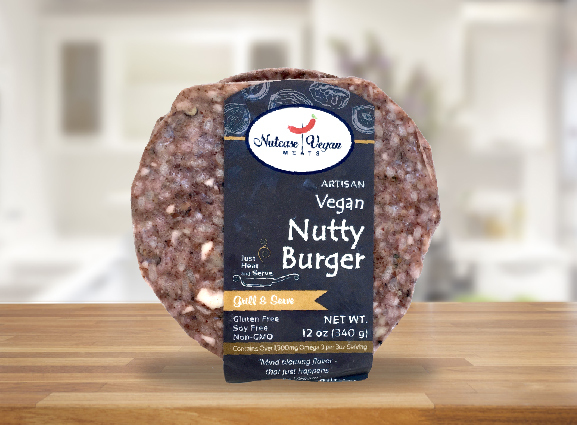 Have a great recipe featuring Nutcase Vegan Meats? Send it in, We'd love to share it with our community! General cooking: Add 2-3 tbsp of cooking oil to hot cast iron or non stick skillet over medium high heat. Loosely scatter walnut sized portions of nutmeat. Don't crowd the pan, give our nuts some room. Continue to break up with spatula and brown lightly. Avoid over cooking or burning. Add to your favorite dish, ladle on your favorite sauce and enjoy! For patties: press ¼ inch thick, brown (about 3 minutes each side) and serve. Form meatballs, wet hands as needed. Serve with pasta and sauce. General cooking: Add 2-3 tbsp of cooking oil to hot cast iron or non stick skillet over medium high heat. Loosely scatter walnut sized portions of nutmeat. Don't crowd the pan, give our nuts some room. Continue to break up with spatula and brown lightly. Avoid over cooking or burning. Add to your favorite dish and enjoy! In same pan, add grated cheez or munster cheese on top of the browned chorizo. Place the entire pan under the broiler for a few minutes to melt the cheez or cheese. Serve with warm corn tortillas and fresh lime juice. Prepare the oven: Arrange a rack in the middle of the oven and heat to 375°F. Pour just enough water (about 1 cup) to cover the bottom of a 9x13-inch baking dish; set aside. Prepare the peppers: Cut off the tops of the peppers. Remove and discard any seeds and membranes from both the cap and interior. Remove the stems from the tops and roughly chop the pepper caps. Sprinkle the inside of the peppers with the 1 teaspoon salt. Par-cook the peppers: Place the peppers in the prepared baking dish and cover tightly with aluminum foil. Bake for 10 minutes. Uncover and let cool while you prepare the filling. 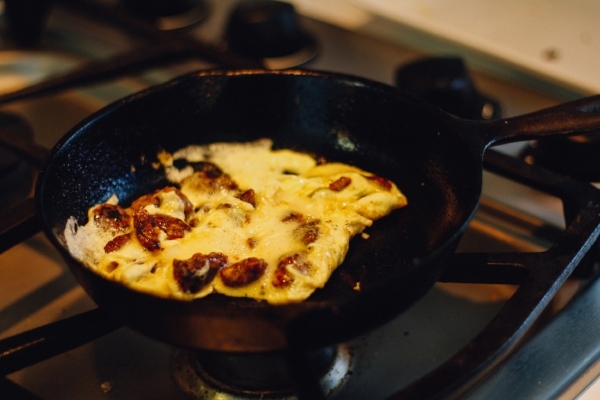 Make the filling: Meanwhile, heat the oil in a large saucepan over medium heat until shimmering. Add the onion and chopped pepper tops, season with salt, and cook, stirring occasionally, until softened, about 8 minutes. Add the garlic and cook until fragrant, about 1 minute longer. Add the NVM Hot Italian Sausage or Breakfast Sausage and cook, breaking the meat up with a spatula as it cooks, until cooked through, about 8 minutes. Remove from the heat and stir in the cooked rice/ millet or quinoa. Fill the peppers: Evenly divide the mixture among the peppers (use a canning funnel if you have one). Bake: Bake uncovered until the peppers are softened, the filling is hot, about 20 minutes. General cooking: Add 2-3 tbsp of cooking oil to hot cast iron or non stick skillet over medium high heat. For patties: press ¼ inch thick, brown (about 3 minutes each side) and serve. Or loosely scatter walnut sized portions of nutmeat. Don't crowd the pan, give our nuts some room. Continue to break up with spatula and brown lightly. Avoid over cooking or burning. Heat the 1 tbsp of olive oil in a large pot. Brown the NVM Breakfast Sausage in walnut sized pieces. Reserve to the side. In the same pan add 2 tbsp of oil over medium high heat. Add the onions, and celery, and sauté for 10 minutes. Add the mushrooms and cook for 5 minutes more. Turn off heat and add the bread, precooked Nutcase Vegan Meats breakfast sausage, herbs, dried cherries, olive oil and flax “eggs”. Mix well, then add broth until the stuffing is quite moist but not overly soggy. Add salt and pepper if you’d like. Place in an oiled casserole dish, cover with foil and bake for 30 minutes. Brush oil on top of burger, use ½ tsp per burger or less. Oil the grates prior to heat up the grill or once heated up. Placed oiled side of burger down on hot grill. Cook for 2-2.5 min definitely 2.5 min if starting from frozen. The flipping allows for the sides to not over brown while cooking the internal aspect to the desired firmness. Undercooked it has too soft of a consistency, overcooked it is on the dry side. Andrew is more meticulous about this than I am. I brought some to a friend’s house as a supplement to animal based burgers. He is in his mid 70s, did not ask for any cooking instructions and proceeded toss them on the grill, not pre oil at all on his preheated grill and they worked beautifully. They are very easy to cook.